For any person involved in any kind of woodworking project, a quality miter saw like the Hercules miter saw is an indispensable tool to make those perfect crosscuts, crown moldings, decorative trims, etc. The below tips would help you choose the buy the best one for yourself. One of the first considerations is the size of the blade of the miter saw. The most common sizes available are that of 8, 10 and 12 inches. Professionals even opt for blades with a larger diameter for really long cuts. Of the three the ten and the twelve are widely purchased. The 10-inch option – Not only are they cheaper to buy, but they are also less expensive to sharpen as they have fewer teeth. Because of their small radius, they spin faster without consuming too much energy. You can select one by going through online reviews like of the Hercules miter saw reviews which are one of the best available today. The 12-inch option – They give you much longer cuts because of their long cuts. Because of their higher power; they consume more power. Generally, they are ideal for projects involving thicker materials like that in deck building. There are two types of miter saw that you need to select from depending on the kind of job you intend to do. Compound miter saw – Pivoting left to right, this type of saw can make any compound cut in one easy pass. It is best for jobs like crown molding, pictures, etc. which require angled cuts in two planes. 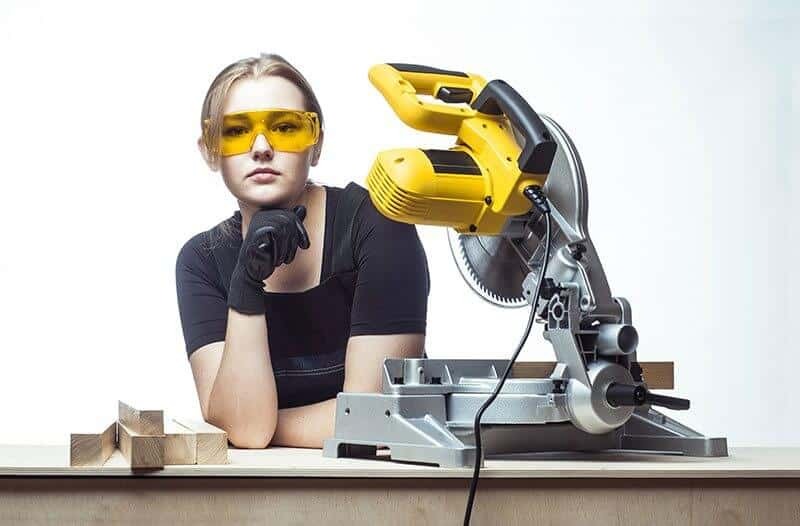 Sliding miter saw – Apart from the movement of the compound miter saw; this saw can also move in the forward and backward direction to yield a much longer cut. They can also cut through thicker wood and are ideal for jobs like lumber, logs, boards, etc. The knowledge would help you make a more informed choice.